The Metro Board earlier today approved a lease agreement with Cafe Crepe to take over the former Union Bagel space in Union Station (the Metro staff report is above). This is the space directly across from Traxx that has been vacant for quite some time. This is not a small space. There will be interior seating and this should be a very nice spot for bus and train travelers to stop and grab a meal at pretty agreeable prices. Check out Cafe Crepe’s menu here — they already have locations in Santa Monica, Vancouver (B.C.) and Toronto and the plan is to be open for breakfast, lunch and dinner at the Union Station location. The word ‘crepe’ may be in the name, but there’s a variety of things on the menu including burgers, salads, other sandwiches and desserts. When will it open? The short answer: it’s going to be a while. The space has to be completely renovated and equipped — and all the necessary permits must be obtained from the city of Los Angeles. We’ll provide updates as the work proceeds! This should be a welcome addition. I miss Union Bagel, to be honest. I used to infrequently travel to San Diego via the Surfliner for business, and grabbing a bagel breakfast sandwich there before boarding was certainly a highlight. Ruby’s Streamliner Diner in Harvey House ? I think that Union Bagel was popular when it first opened; as it was about the only food business at Union Station at the time. However, toward the end with other concessions moving in, Union Bagel seem to lose it’s luster. And to be honest it was time for a change. Yes, something needs to be brought in to Harvey House. 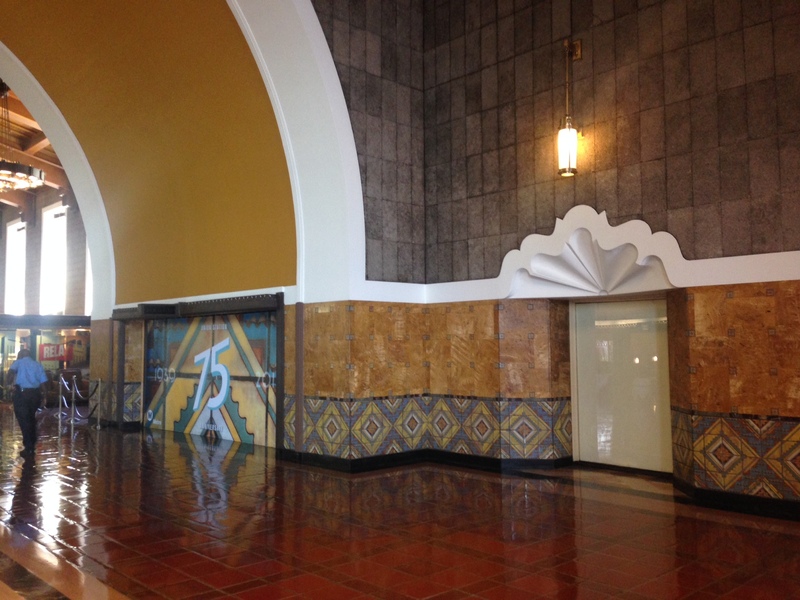 And why is it that Amtrak & Metrolink can not have their ticket offices in the old ticket area of Union Station? It could be upgraded for it. It would be better than what they both currently have. Especially Amtrak their ticket office is like in a dark area of the station. I’d still would like a diner-type place. Traxx is too expensive, Subway is too fast-food, and the rest of the places (Wetzels, Starbucks, Ben and Jerry, etc.) sell snacks not meals. Actually that B was there for years. But I still miss stopping there before my trip.